CASE UPDATE: On September 13, 2018, human remains - later identified as missing person Ginger Gover - were located at a construction site on 90th Ave. E. in South Hill. The case is now being investigated as a homicide. 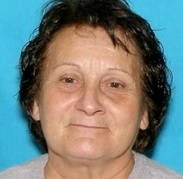 Pierce County Sheriff’s detectives need your help to locate Ginger Gover, who has been missing under suspicious circumstances since July of 2018. On Sunday July 29, 2018, Ginger Gover drove from her home in Olympia to visit friends in downtown Tacoma and then in Eatonville. At 10:20 a.m. Gover called her friend in Eatonville to say that she was on her way from Tacoma but had to stop and fix a flat tire. Another friend reportedly met Gover at the Chevron at 112th and Canyon Rd. 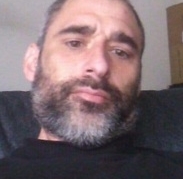 and helped her change her tire; the friend said that Gover drove away heading to Eatonville. She never arrived and has not been seen or heard from since. On August 6, Gover’s dark green 2000 Honda Civic was found abandoned in a warehouse complex on Valley Ave. NW in Puyallup. The vehicle had been completely stripped and likely dumped off a trailer in the early morning hours of August 4.